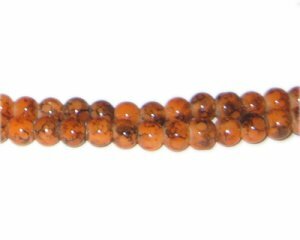 These are 6mm Fire Agate-Style Glass Bead, approx. 72 beads on a 16" string. Such great products for so little. Love the variety. Shipped quickly. Great customer service.